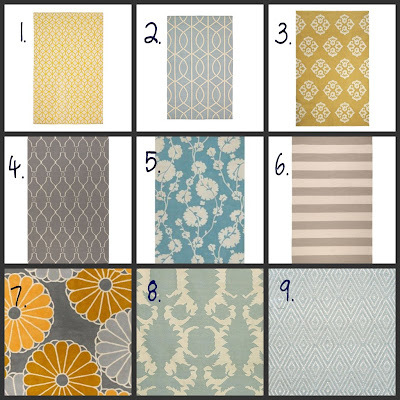 I've been doing a lot of rug research lately, as I'm looking for a rug to define my office space. There are some great things out there! Here are some of my favorites. Many of these are not within my budget, but they are so good for inspiration! Which ones are your favorites? 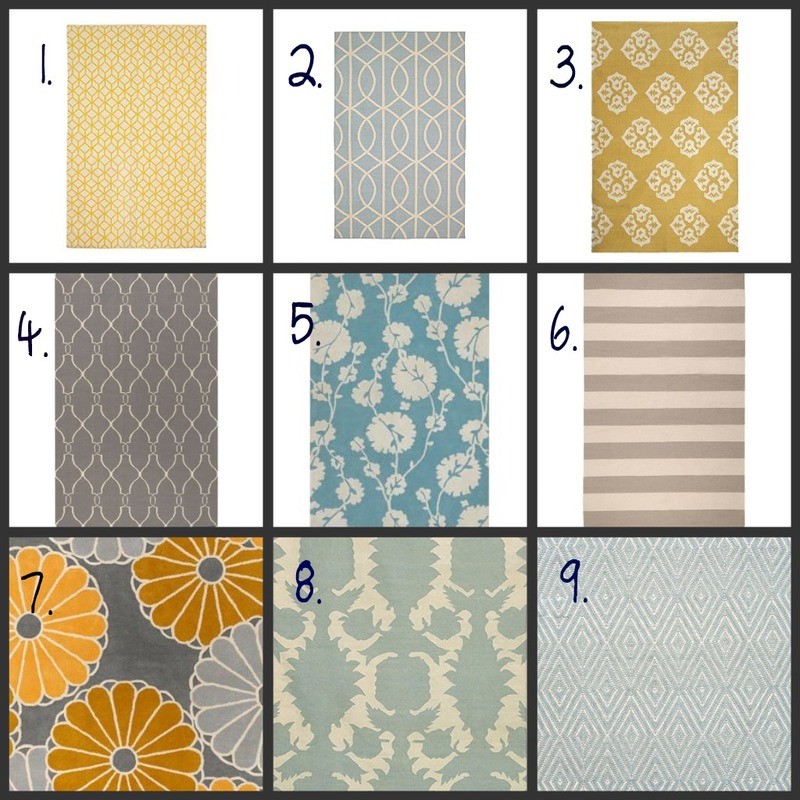 I love theThomas Paul rugs! Did you see the rest of his collection? I've been looking for rugs too...it'd be nice to not have to live with dog stains anymore! I love all the ones you chose, esp the ones with bolder colors as the rest of your space seemed pretty neutral. A bold rug would really make a statement. I've been looking at Overstock, and they have some pretty decent styles too at good prices. And shipping is only 2.95! But I get nervous about shopping for rugs without seeing them in person because they can look so different in a picture online. Overstock has lot of user reviews which helps though. Well I look forward to your next update on your office space!